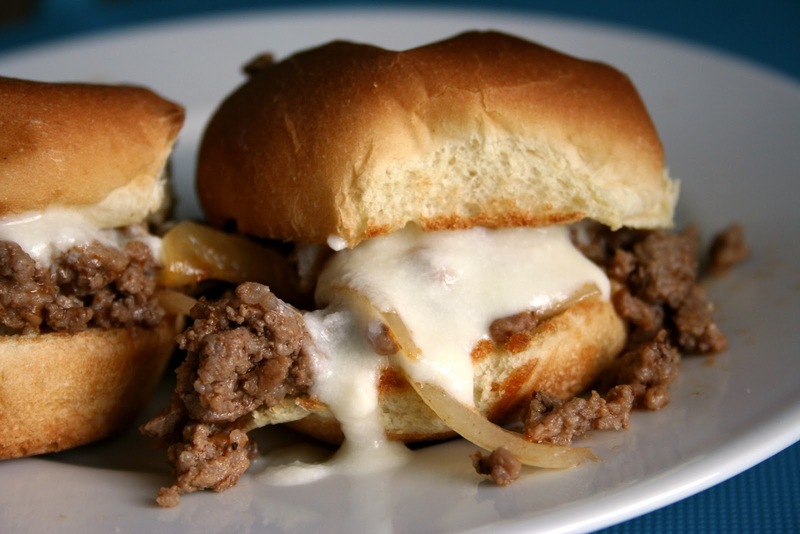 I have always loved a good philly cheesteak every now and then, but have always been intimidated to make one at home. 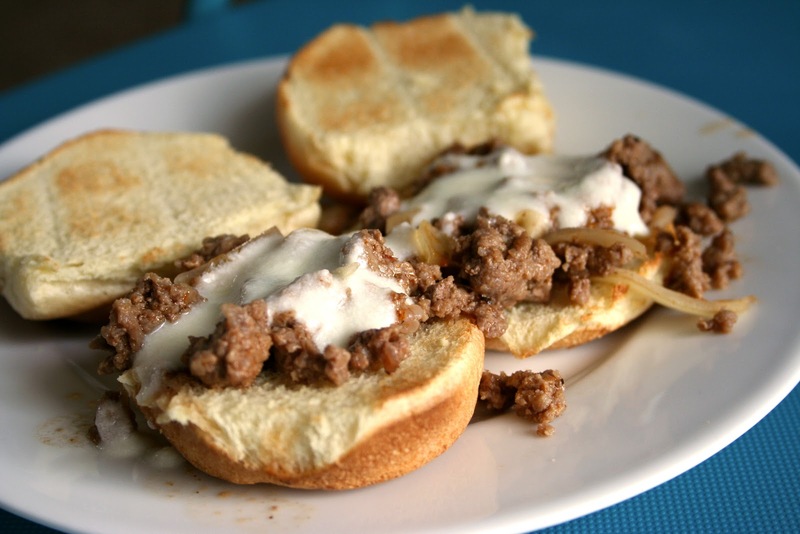 Enter these Philly Cheesesteak Sloppy Joes that are so easy to make and absolutely delicious! My favorite part of this recipe is how quickly it all comes together and the amazing cheese sauce that is poured on top of the meat. This was definitely a favorite at our house! 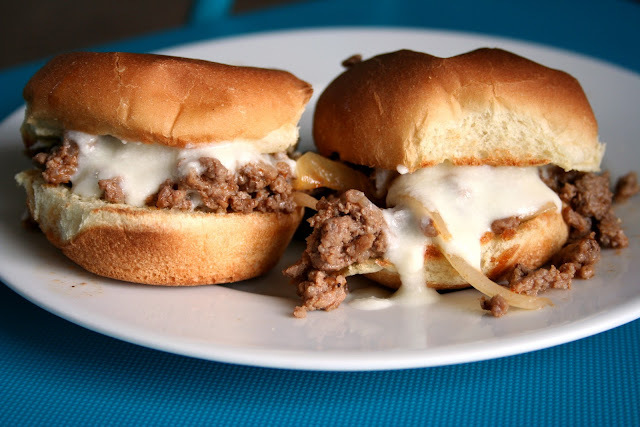 These would be perfect at a party or perfect for a family dinner. It's always fun to find new ways to use ground beef! 1. In large skillet over medium-high heat add olive oil and brown the ground beef, about 5-6 minutes. Add the onion and cook another 3-4 minutes, until the onions start to get tender. Stir in the steak sauce and beef stock, season with salt and pepper, bring to a boil and cook about 2 minutes. 2. Split open rolls and toast or broil in oven. Be sure to watch so they don’t burn! 3. While the meat is cooking, melt the butter in a medium-sized skillet over medium-high heat. Stir in the flour and cook about 1 minute. Whisk in milk, bring to a boil and let thicken, about 2 minutes. Turn off heat and stir the cheese in a figure-eight motion until it is all incorporated. Season with salt and pepper. 4. To serve, place a scoopful of the meat mixture onto the bottom of the rolls, then top with the cheese sauce and replace the top of the roll.